Lucini Transportation is a family owned and operated business that has been active in the local community for 60 years. 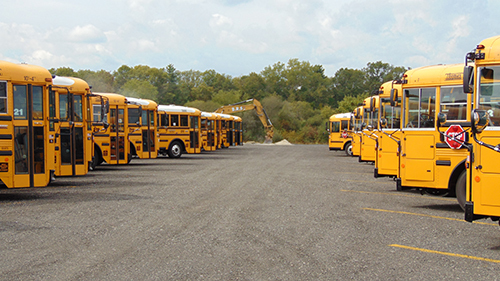 Founded in 1959, Lucini has grown to own and operate more than 80 motor coaches and buses that serve your school transportation and charter needs. 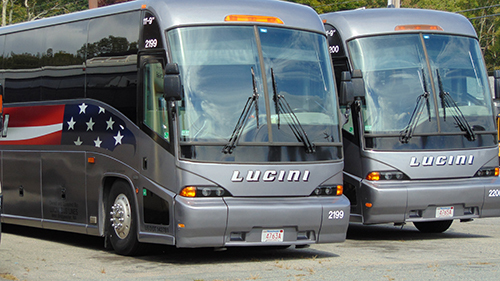 Lucini Transportation has reporting systems that stand far above the competition. Our fleet-wide investments in the Zonar System allows us to be one of the few companies in the industry that are able to respond to changing conditions and vehicle repairs in a timely manner. Our large on-site maintenance facility allows for quick response and on time repairs. This allows little to no downtime in our fleet so we can always be of service to you. We only hire the best drivers, and many of our drivers have been with us for 30 years. We provide an on-site training course so our drivers can stay up to par with industry standards.